Discover more about the characters in Matilda. The information is supported with quotes directly from the book, and corresponding page numbers for the Scholastic version of the story are offered. Matilda Wormwood is the main character in the story, and of the Matilda characters she is (by far) the most likable. 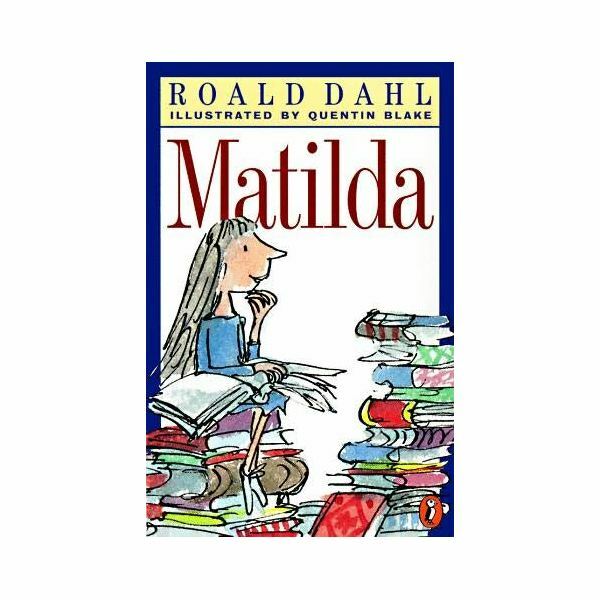 At the beginning of the novel, we are introduced to Matilda as a 4 1/2-years old who possesses an intellect far above her years. Dahl even goes so far as to describe her as a "child-genius and prodigy." (p. 75) Matilda loves to read even though her parents refuse to allow any books in the house – instead preferring that she and her brother simply watch the television. Later in the story, it is revealed that Matilda also possesses the powers of psychokinesis (the ability to move things with her mind) and it is implied that these powers are a result of the repressed anger she feels toward her parents and Headmistress who vacillate between ignoring and belittling her. By the time Matilda enters Crunchem Hall Primary School she is 5 1/2-years old. Michael Wormwood is Matilda's older brother. Although he does not posses the same level of intellect or ability as his sister, he is clearly the favorite in the Wormwood household. Mrs. Phelps is the local librarian who encourages Matilda's love of reading. Mrs. Wormwood, Matilda's mother, is described as a "large woman whose hair was dyed platinum blonde except where you could see the mousy-brown bits growing out from the roots." (p. 27) She also "wore heavy make-up and had one of those unfortunate bulging figures where the flesh appears to be strapped in all around the body to prevent it from falling out." (p. 27) Mrs. Wormwood's only interests are watching American soap-operas and playing Bingo every day. Like her husband, Mrs. Wormwood thinks very little of her daughter's unique abilities and often berates her. Fred is the young neighbor boy who lends Matilda his pet parrot. Matilda later uses the parrot to play a prank on her family. Miss Jennifer Honey is Matilda's teacher at Crunchem Hall Primary School. Miss Honey is young, pretty, mild-mannered and "possessed that rare gift for being adored by every small child under her care." (p. 67) Later in the story, she becomes a great advocate for Matilda. Miss Truchbull is undoubtedly the most colorful in the cast of Matilda characters. The Headmistress at Crunchem Hall Primary School, Miss Trunchbull serves as the "head teacher, the boss and the supreme commander" (p. 66) who "insists on strict discipline throughout the school." (p. 69) Dahl also describes her as a "gigantic holy terror, a fierce tyrannical monster who frightened the life out of the pupils and teachers alike" (p. 67) who "hardly ever spoke in a normal voice." (p. 85) Instead, he says she "barked or shouted." (p. 85) Miss Trunchbull's favorite form of punishment is to send students to the "Chocky," which is a "very tall but very narrow cupboard" that has a floor "only ten inches square so you can't sit down or squat in it" – forcing one to stand instead. Furthermore, "three of the walls are made of cement with bits of broken glass sticking out all over, so you can't lean against them." Leaning against the door is also impossible, because it has "thousands of sharp spikey nails sticking out of it." (p. 104) Much later in the book, we learn that Miss Trunchbull is also Miss Honey's aunt Agatha. Lavender, Nigel, Ruper, Eric, Wilfred and Hortensia are Matilda's friends and classmates at Crunchem Hall Primary School. Mr. Trilby is the Deputy Head of the school who, at the end of the book, is appointed Head Teacher in Miss Trunchbull's place. Miss Plimsoll is Matilda's teacher once she is moved to a higher grade at the school. Which of these characters do you identify with personally? See if you can spot similar traits in yourself or in your classmates and teachers. Need some more help brushing up? Read a chapter summary of the book with comprehension questions designed to ensure a thorough understanding of the story line. Dahl, Roald. (1988). Matilda. New York, NY: Scholastic Books.